The Ambassidae occurs in tropical and subtropical marine, brackish, and fresh waters of the Indo-West Pacific; freshwater species are especially prominent in Australia, India, and Southeast Asia. The Polyprionidae has a scattered distribu tion in temperate and subtropical waters of the Atlantic, Indian and Pacific Oceans. The Serranidae is distributed in tropical, subtropical, and temperate waters of the Atlantic, Pacific, and Indian Oceans; some species occur in freshwater. The Grammatidae is limited to tropical and subtropical waters of the western Atlantic and western Pacific Oceans. The Callan-thiidae occurs in temperate, subtropical, and tropical waters of the eastern Atlantic, including the Mediterranean, and the Indian and Pacific Oceans. The Pseudochromidae occurs in tropical marine, rarely brackish, waters of the Indo-Pacific region. The Plesiopidae is found in tropical and subtropical waters of the Indian and Pacific Oceans. The Glaucosomatidae appears to be a continental family that ranges from Western Australia east to Japan. Both the Opistognathidae and the Pri-acanthidae occur in tropical and subtropical waters of the Atlantic, Indian, and Pacific Oceans. 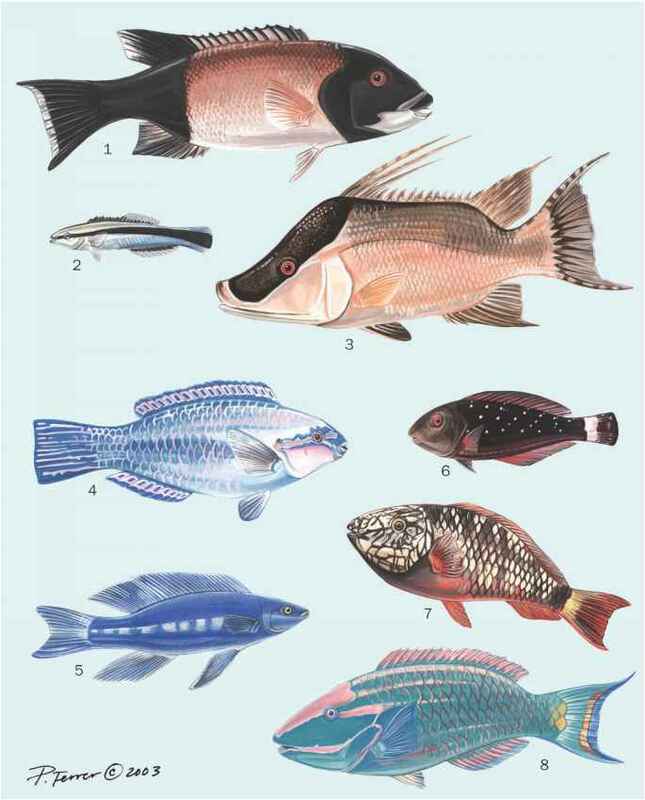 Fishes of the family Apogonidae are mainly marine in the tropical and subtropical Atlantic, Indian, and Pacific Oceans, but some species occur in fresh or brackish waters in the western Pacific. The Sillaginidae is distributed in tropical and warm temperate coastal and estuarine waters of the Indo-West Pacific, from Africa east to Australia and New Caledonia, and north to Japan. Most species are continental, and at least one species has entered the eastern Mediterranean via the Suez Canal. The Malacanthidae occurs largely in tropical and warm temperate waters of the Atlantic, Indian, and Pacific Oceans; one species occurs in brackish and marine waters of New Guinea, however. The Rachycentridae is found in marine and, to a lesser extent, brackish waters of the tropical, subtropical, and temperate continental waters of the Atlantic, Indian, and Pacific Oceans, and are absent from most insular localities on the Pacific Plate. The Carangidae is widely distributed in tropical, subtropical, and warmer temperate waters of the Atlantic, Indian, and Pacific Oceans; some species will enter brackish and coastal rivers. The Menidae is distributed in the Indo-West Pacific, but limited from the east coast of Africa east to Indonesia and Southeast Asia. The Leiognathidae is distributed in coastal waters of the Indo-West Pacific; one species has entered the Mediterranean Sea via the Suez Canal, however. The Bramidae occurs in deeper oceanic waters of the tropical and temperate Atlantic, Indian, and Pacific Oceans. The Lutjanidae is found mainly in tropical and subtropical waters of the Atlantic, Indian, and Pacific Oceans, but some species also enter brackish and freshwater reaches; at least one species has been introduced successfully into freshwater lakes in Australia. The Caesionidae is distributed in tropical and subtropical waters of the Indo-West Pacific. The Lobotidae occurs in pelagic and coastal waters of the tropical Atlantic, Indian, and Pacific Oceans. The Gerreidae is found in coastal tropical and subtropical marine and, to a lesser extent, brackish waters of the Atlantic, Indian, and Pacific Oceans. Most species in the family Haemulidae occur in tropical and subtropical regions of these oceans as well, but some species also occur in brackish and coastal fresh waters. The Dinopercidae is restricted to warm temperate and subtropical localities of the western Indian Ocean and in the southeastern Atlantic off the coast of southern Africa from Angola to South Africa. The Sparidae is distributed largely in continental marine waters of the tropical and temperate Atlantic, Indian, and Pacific Oceans, but is also rare in fresh and brackish water. 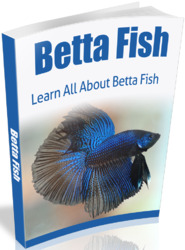 With one exception, the Lethrinidae is limited to tropical and subtropical waters of the Indian and Pacific Oceans. A single species occurs off West Africa in the Atlantic Ocean. The Nemipteridae is found in the tropical and subtropical Indo-West Pacific. The Polynemidae is found in tropical and warm temperate marine, brackish, and fresh-waters of the Atlantic (including the Mediterranean Sea), Pacific, and Indian Oceans. The Sciaenidae occurs in tropical, subtropical, and temperate waters. Most species are found in marine or brackish waters of the Atlantic, Indian, and Pacific Oceans, but some occur in freshwater drainages with current or historical connections to the sea.